People love their cars, don’t they? Sometimes they take better care of their cars than their own health. And they want to park their cars properly at a safe place when not in use. That’s why having a properly paved parking lot in the vicinity of your commercial space is not something you can neglect. Also, Pennsylvania parking laws are pretty strict, so there are commercial, environmental and legal reasons why a well-paved parking lot is a “Must-Have” for offices, stores, hotels or clubhouses. 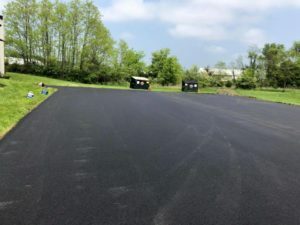 Here are 20 reasons for parking lot paving – a friendly reminder from Willie’s Paving, PA.
Be sure to find the best parking lot paving companies. We’ll take it easy first and look at all the general reasons why a paved parking lot is such a good idea. This will also help you with choosing the right paving contractors. I don’t think I need to mention this, but I’ll do it anyway. A well-paved parking lot adds to the aesthetic value of the facility. Not only is it a form of necessity, but also a luxury. At Willie’s, we highly recommend asphalt parking lot contractors. The rich dark color of bitumen goes well with any theme, so no matter what color your building is, an asphalt parking lot will look awesome. If you don’t believe me, ask the White House. Additionally, an asphalt paving can be marked easily with white or yellow color for high visibility. That’s why all major roads and highways use it. You can be the proud owner of a visually pleasing commercial space by adding a simple asphalt-paved parking lot. Asphalt is a lot more durable than concrete in many ways. Unlike concrete that is rock hard, asphalt has a certain rubbery texture. The bitumen in asphalt-mix fills in the gaps quickly and created a strong bond in the gravel. This rubber-like property provides better friction with tires and reduces the risk of tire slips, which can cause accidents. Even in the rain or snow, asphalt-paved roads, driveways, and parking lots are the safest to drive on. Asphalt service is also easy to maintain. You can have your parking lot repair job done very quickly. A well-paved parking lot is very easy to clean. Occasional brooming does the job. If not, just through some plain water or use a pressure hose and see the neat texture become visible again. Additionally, asphalt-paved surfaces get stronger with water, so it will even extend the life of your parking lot. A clean parking lot is also required for the cleanliness of the buildings, stores, and commercial spaces. Why? Because after parking their cars, people will walk through the lot and enter your store. What if you had an unpaved, dusty, and muddy parking lot? You can do one thing though-offer a shoe cleaning service at the front of your store, or you can ask Willie’s to take care of the problem for you. We do the parking lot paving job in a short time. Got an event, an activity, or a garage sale? A nice and clean parking lot repaving can be an ideal place to hold such events. We commonly see elementary or high schools hold their school festivals and activities in the parking lots. A lot of businesses even hold concerts and promotional activities in parking areas. A nice asphalt parking lot construction with proper paving can be used for various other purposes and it is easy to set up and clean up. People enjoy occasional outdoor activities without having to go too far. If it gets too dirty or damaged, you can easily new by having a parking lot seal coating. A well-paved parking lot especially finished with asphalt service, preserves the land underneath. If your store or hotel front does not have a properly paved parking lot, you can be 100% sure that the land will decay over time. Winter and rainy seasons are the worst. When snow melts and water flows, it erodes the land. In jungles, tree roots protect the land, but in the city, the land is exposed. I can guarantee that you will be left with holes and puddles if you do not pave your parking lot properly. Not to mention that people who would park there might have their vehicles stuck in the puddles in bad weather. Rain, snow, or shine, an asphalt paved parking lot is ideal to have. Without it, your parking lot will be dusty in summer, muddy in rainy, and snow-stacked in winter, and no; you cannot remove the snow that easily from an unpaved space. It will result in reason number 5 all over again. If you are a resident of Pennsylvania, you cannot ignore the weather factor. We all want to be rich and make more money. That’s why we must investigate the commercial benefits of having a quality parking lot paving job done. On a side note, Willie’s Paving is the best asphalt service provider in Pennsylvania. We’ll make it nice for you. Obviously, people like to go to places that are clean and safe to park. 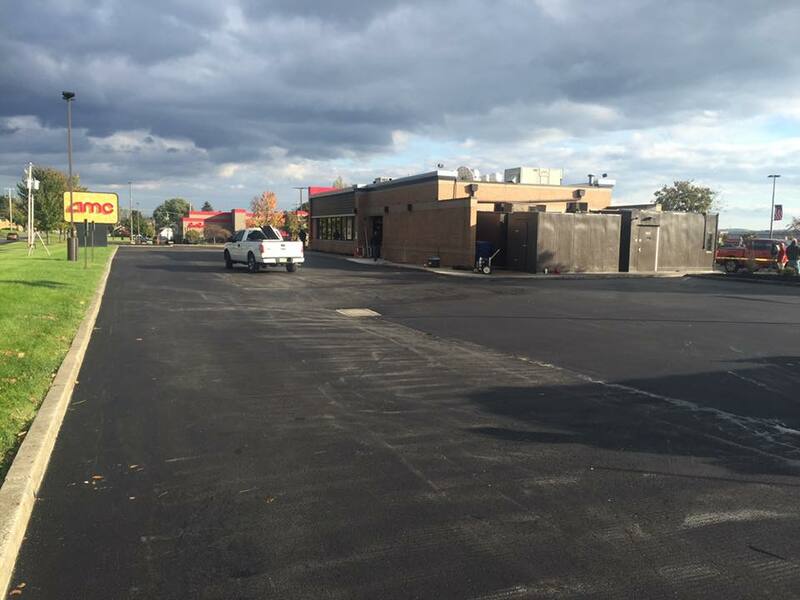 Have a parking lot paving done, and your older customers will love you more. New customers will also flock in to visit your business. There is absolutely no doubt that your commercial activities will increase by a factor of 10 when you have a well-paved parking lot in front of your commercial space- at the back is also okay- as long as you have one. A well-paved parking lot with clear markings will look very organized. The organization contributes to the beauty of your business and comfort for the people who park their cars in your vicinity. Disorganized random parking takes up more space with few cars. A well-paved and clearly-marked parking lot will save space and maximize use. This way, you will be able to accommodate a higher number of cars and people, which is good for business. It is highly efficient and recommended. The first impression is everything. A messy parking lot in front of your building won’t bring in businesses. Please consider having a parking lot paving. If you already have an old one, you can ask for a parking lot resurfacing or a parking lot seal coating to give it a brand new look. All people, who love cars (which is almost all), would like to park their cars in a secure area. Therefore, all commercial sites must have well-paved and well-organized parking places. It is much easier for security officers and cameras to monitor the activities of the people in the lot. It reduces car crimes and helps people with insurance claims (which I will explain later). You can give that sense of security to your customers by having a nice and clean parking lot, and in return, your customers will buy regularly from you. Security is business. Not just beauty, a well-paved parking lot is a thing of comfort and convenience. People can easily park their cars and walk to your store. The distance that people travel on foot from their parked cars to the store should be well-paved. If not, it is very uncomfortable, most especially for ladies with high heels. If there is anything they love more than cars, it would be their shoes. Without a proper parking area, there goes half your customer base. Have a well-paved parking space, please. This is additional to the comfort of the people. Whether it is a storefront, hotel front, or office front, people need to load and unload things from and to their cars. Imagine a mother with her child carrying groceries through a rough landscape to reach her car. How pitiful would that be? This cannot happen. You must have a proper parking area for the benefit and convenience of your customers. A well-paved parking lot will also make faster loading and unloading possible. This will surely improve conversion rates and reduce congestions during peak hours. An old and damaged space can also create the same problems, so it is a good idea to have an asphalt service. It is quick and cheap at Willie’s. You don’t have to believe me on this one. Just ask a real-estate agent. Having a well-paved parking lot increases the value of your property by 10%- not kidding. Same goes with well-paved driveways for residential areas. This is key for residential driveway paving. Maybe you aren’t thinking of selling your property at the moment but think about the future. Depending on the size and location of your property, 10% can be huge. To add to that, if you have a commercial building and renting out offices or business spaces, your newly-installed parking lot can be a factor to generate more revenue. Reserved parking spots are an excellent way to do that. You don’t have to sell the property to reap the benefits of the increased value. We all know how insurance people are. It is easy to buy but hard to claim. For parked vehicles, one of the major criteria for a valid claim is that the car had to have been parked properly at a secure parking space. If evidence suggests that it wasn’t, the insurance can refuse the claim. Insurance investigators are known to check the property and the nearby areas using Google maps and views to determine if it really is a secure parking lot. You can save a lot of people from troubles simply by having a nicely-paved secure parking area. Your customers will thank you for it. Let’s find out how a parking lot paving can help protect the environment. I know what you are thinking because asphalt is not known for being environmentally friendly, but I’ll prove to you otherwise. Sometimes we should choose the lesser evil. People would not be inclined to throw things around a clean parking lot. After paving, you can provide proper trash cans in designated areas, and help protect the environment. This cannot happen in a muddy unpaved parking lot. People won’t care. Also to make sure that your parking lot is always in a top condition, you can have regular maintenance jobs done that includes Parking Lot Resurfacing and Parking Lot Sealcoating. These are common residential asphalt services provided by Willie’s at reasonable prices. A paving cost that you can afford. A well-paved parking lot saves the local waterways and fresh water supply from contamination. Defective vehicles with leaks often drip pollutants such as engine oil and break and transmission fluids-even more when the vehicle is not moving. Without paved parking, these contaminants will reach the ground and wash away with rainwaters to the nearest waterway. A well-paved parking space also includes water passages that are directed towards the city sewer systems, so that the contamination can’t reach the fresh water supply. 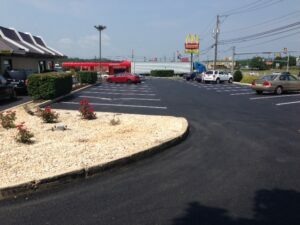 Damaged or cracked asphalt parking lots with deep holes can also create the same kind of problems, so seek professional help for a parking lot repair or a quick parking lot resurfacing to prevent the pollutants from reaching the ground. It’s time to be serious. Let’s take on the legal matters and see how a paved parking space can save you from unforeseeable situations and lawsuits. It is a serious legal issue. In case of emergency, people must be allowed to leave the premises in an orderly fashion or else chaos breaks out. A well-organized and paved parking lot is a prerequisite for that matter. Also, emergency vehicles must be given ways to enter and exit the facility with ease. People’s lives may depend on that. Improper parking conditions can eventually make the owner of the business liable for damages and losses. Americans with Disabilities Act (ADA-2009) – Amendments of 2010 includes clear instructions on how people with disabilities must be allowed to park nearest to a storefront or the main entrance of a commercial building. This amendment demands a well-paved and clearly marked parking lot with proper signs and designations for people with disabilities. Again, this is a legal issue and the owner of the commercial space can be held liable and penalized. Fire codes also include similar guidelines to have properly paved and marked parking lots with proper entrances, exists, and spaces for emergency vehicles to enter. This is one more legal issue that you do not want to be responsible for. It is crucial for a commercial property owner to have good parking lots paving. A proper parking area with clean and clear pavement can reduce your company liabilities and protect against lawsuits. I mentioned the car insurance scenario and the safety issues during emergencies. The owner of a facility with an improper, unpaved, and disorganized parking lot can be made liable for any unfortunate incidents. Now you must be thinking that it is good to have Willie’s Paving in your neighborhood. 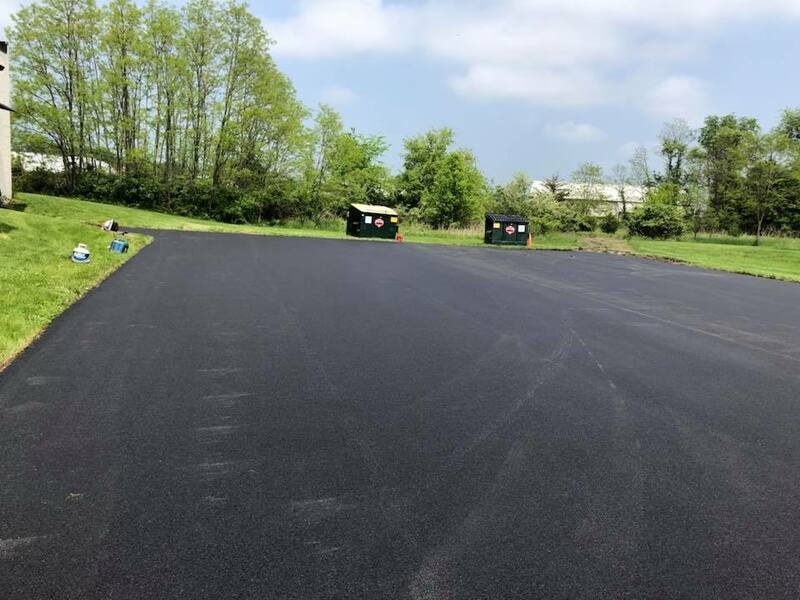 Our dedicated team of experts supported by modern hi-tech equipment is here to serve the paving needs of the people of York, Mechanicsburg, Harrisburg, Carlisle, and nearby areas. We guarantee quality work that will leave you 100% satisfied. 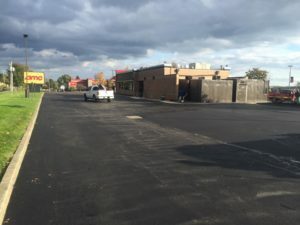 We provide all sorts of paving services including parking lot paving, parking lot repair, parking lot resurfacing, and parking lot sealcoating. Having the best asphalt parking lot contractors can help with your satisfaction. 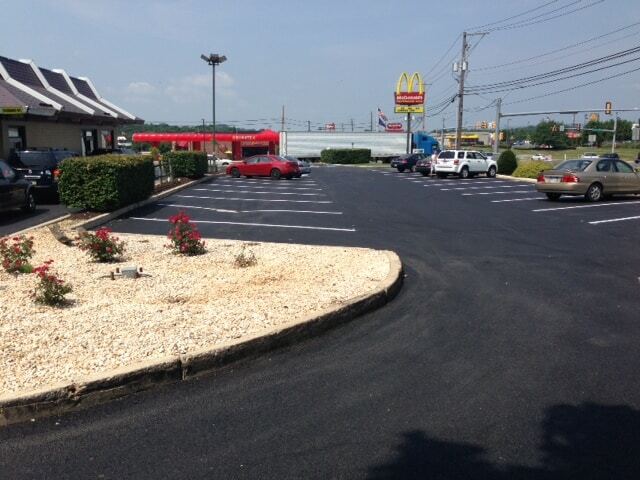 Contact Willie’s Paving for all your asphalt parking lot construction!